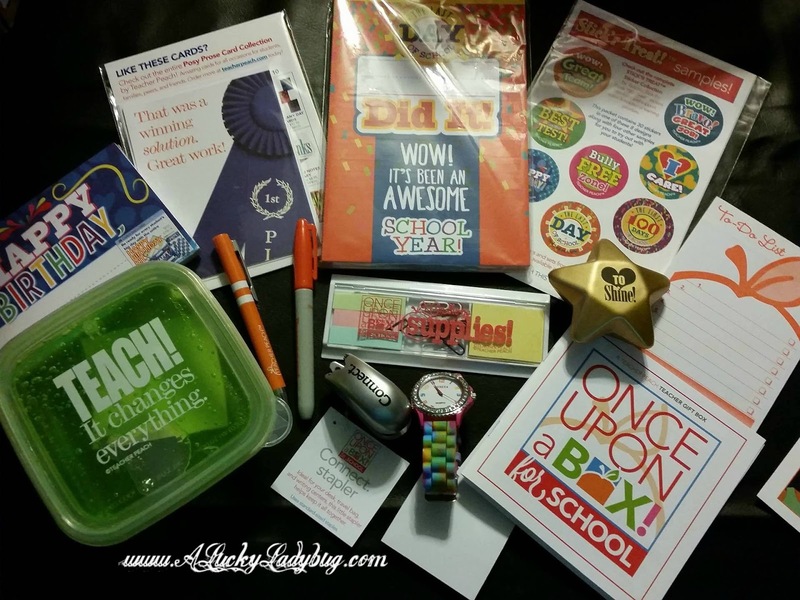 With the school season ending pretty quickly, it's a great time of year to think about teacher's gifts. Too often, a great teacher goes unnoticed. We often get so busy worrying about the summer break and making plans to keep those kiddos busy that we forget all the hard work the teachers have put in during the school year. Teachers buy their own school supplies AND a lot of kids personal supplies. Teachers barely make a salary equivalent to the job they provide. Teachers work long hours in school and in most cases are available 24/7 at home. Teachers care with everything they've got about your child. 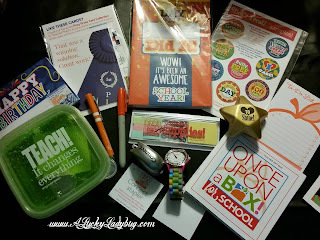 Thankfully there are some pretty great brands out there that know how hard those teachers work and they've put a lot of thought into some gifts we can get to show our appreciation. Having a best friend who is a teacher and several other friends who are, I truly appreciate teachers and everything they go through on a daily basis. They work harder than anyone I know. With Declan in school for his first time this year, we've gained even more of an appreciation for teachers (his in particular). He's been sick a lot of the year between building up his immune system and having to have surgery. He's also adjusted to being in class with children at different learning levels, sharing, and overall focus on completing work when asked to. So this year, teachers gifts are an absolute must. 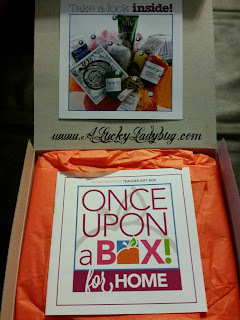 I was sent over the Teacher Peach Teacher Appreciation Gift “Once Upon a Box for SCHOOL” and “Once Upon a Box for HOME”. 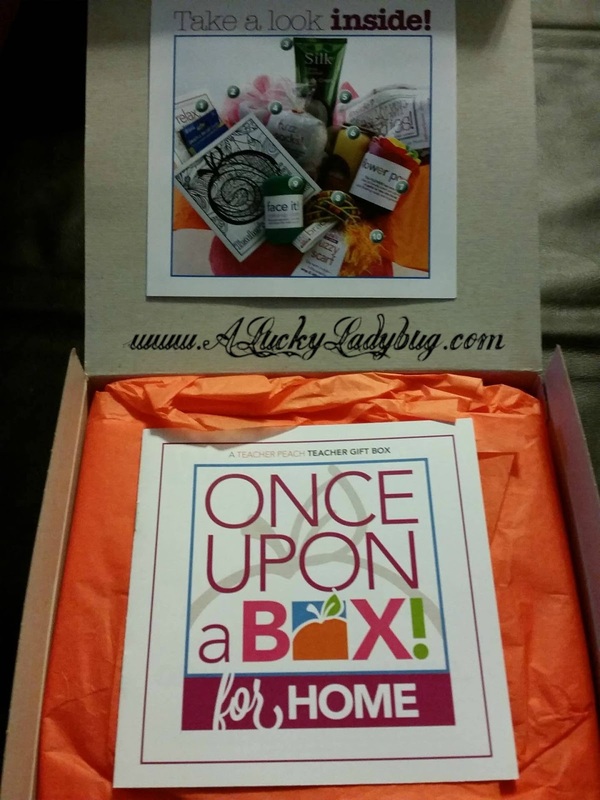 “Once Upon a Box for SCHOOL” (ideal for K–5 students) includes: Quartz Wristwatch, Sandwich Container, Supplies Case, Connect! Stapler, 30 Shiny Stickers, 25 Happy Birthday Postcards, 25 Student End-of-Year Mini Posters, Two Notecards with Envelopes, Sharpie® Marker, “Love to Shine” Stress Ball, Ballpoint Pen and 3” x 4” Sticky Note To-Do List. “Once Upon a Box for HOME” includes: Fuzzy Socks, 5-inch Scented Candle Set, Bath Soap Flower, Face Cloth, Flower-Shaped Scrubbie, Cosmetic Bag (Silky Eye Mask, Make up Brush, Pedicure Spacers, Comb, Headband, and Pumice Stone), Coconut Citrus Body Cream, Beaded Colorful Bracelet, Fuzzy Scarf, Teacher Peach’s First Official Teacher’s Coloring Book, Colored Pencils, and Pencil Sharpener. Both boxes were loaded more than I imagined for their size with items for the teachers. I was beyond surprised when opening the box that it took me forever to pull out everything that was included. I was a bit disappointed in a few of the items which I thought could have been better quality or at least a bit more generic for all styles and personalities. A lot of it reminded me of filler products which could easily be grabbed at the dollar store. The Home gift box was perfect for giving your teacher the chance to pamper themselves when away from the chaos of school. 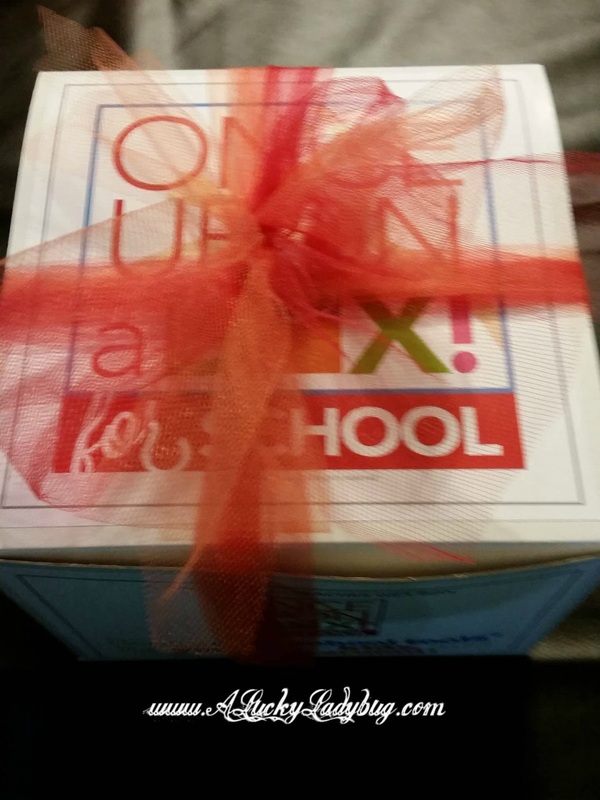 And the School gift box is a great way to give your teacher all the little extras, they might not always have the time to scoop up on their own. Recommendation: These are a great way to save time when putting together a gift for the teachers you know. 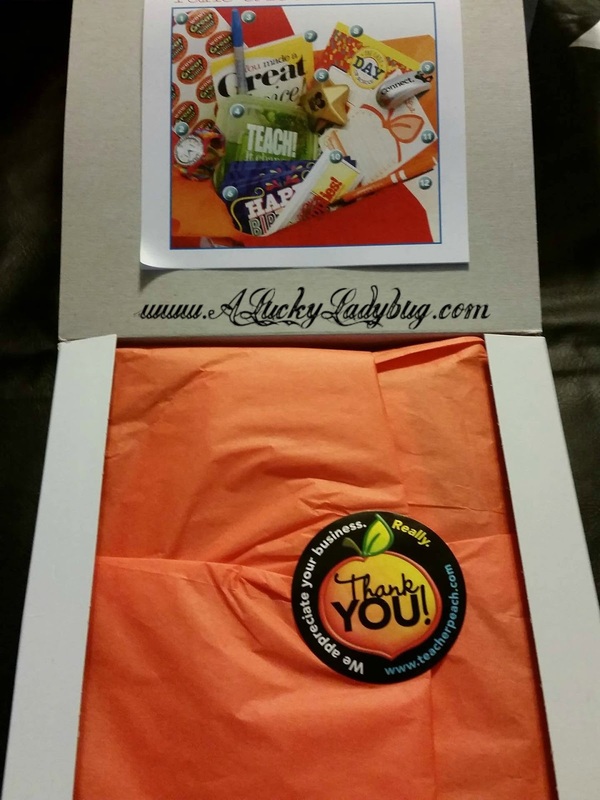 Whether you are buying for the end of the year, start of school season, or teacher appreciation week, they plan it all for you. While I think I would have preferred something with more of a visual presentation for the cost, these saved me a ton of time planning for baskets this year. 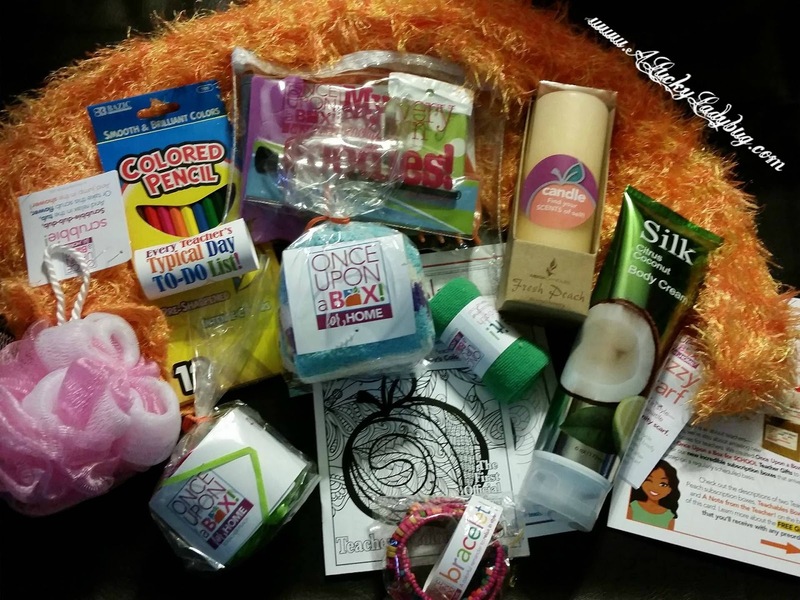 Don't forget to check out all the other great school supplies that Teacher Peach has available for students and teachers too! 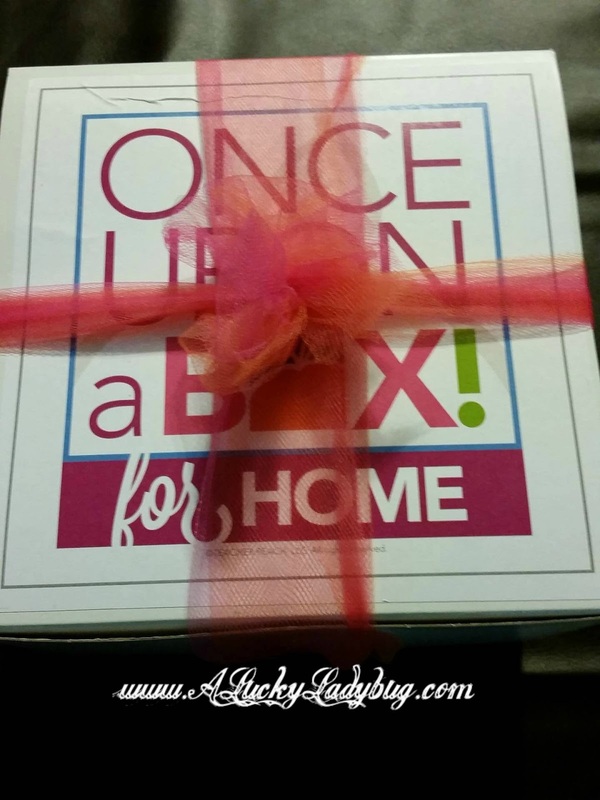 It does sound like a good idea & a real timesaver when it comes to planning & buying gifts for teachers! I'd definitely give it a try.